NEW YORK/ATLANTA/ March. 18/PRNewswire/ – The Bako Medical Education Foundation, a non-profit organization that seeks to advance diagnostic excellence in the field of podiatry, announces a grant of up to $100,000 to the New York College of Podiatric Medicine (NYCPM), to fund the newly established Bako Medical Education Foundation Scholarships. The grant, to be paid over four years, subject to certain conditions, will provide annual recognition and financial assistance to top accepted and/or enrolled New York College of Podiatric Medicine students. The Foundation provides financial endowments to podiatric medical institutions to enable them to award scholarships. Learn more about grants at bmef.org/grants. 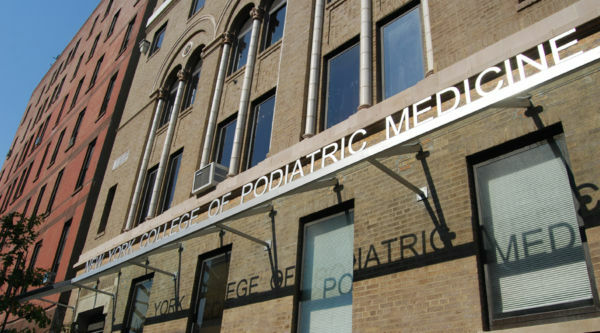 The New York College of Podiatric Medicine (NYCPM) was the first and is the largest and most prominent school of podiatric medical education in the U.S. Since its founding in 1911, the New York College of Podiatric Medicine has been the profession’s leading educational institution, providing a progressive and comprehensive program of podiatric medical education and clinical training designed to prepare the Doctor of Podiatric Medicine to undertake graduate podiatric medical training residency. The College is affiliated with a number of other medical institutions, including the Foot Center of New York, its clinical affiliate. The Bako Medical Education Foundation seeks to advance diagnostic excellence in the field of podiatry through education, empowerment and inspiration. Toward this goal, the Foundation sponsors institutions, individuals and events that seek to train the podiatric medical community on the innovations and best-practices in medical diagnostics. Learn more at bmef.org.